Life is precious and thats why criminals will attempt to use it to get what they want.Its ashame but the reality of our cold world. 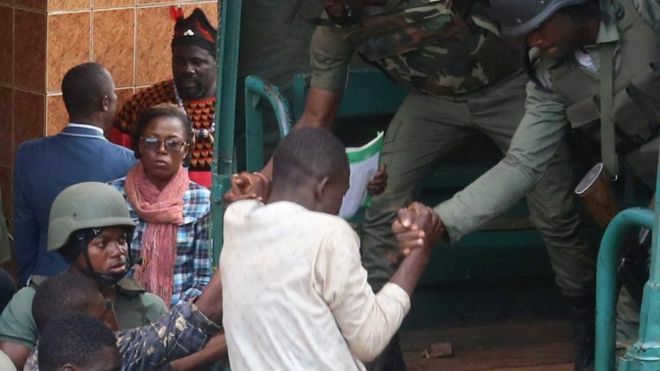 Thankfully for the kidnapped Cameroonian kids who made it out of the horror alive.The 78 boys and girls and three others were seized early on Sunday in the region’s capital, Bamenda. The secessionist movement took up arms last year to demand independence for the North-West and South-West regions – the two English-speaking regions in a country where French is the most widely spoken official language. The kidnapped students, aged between 11-17 years old, were “frightened and traumatised but in good shape”, Rev Fonki Samuel, Presbyterian Church Moderator in Cameroon, told the BBC Focus on Africa programme. “They gave us kontchap [a mix of corn and beans] to eat It was not enough but they still gave us some. They also gave us water,” he said. Rev Samuel said the Bamenda’s Presbyterian Secondary School – where the students were seized – had been closed. 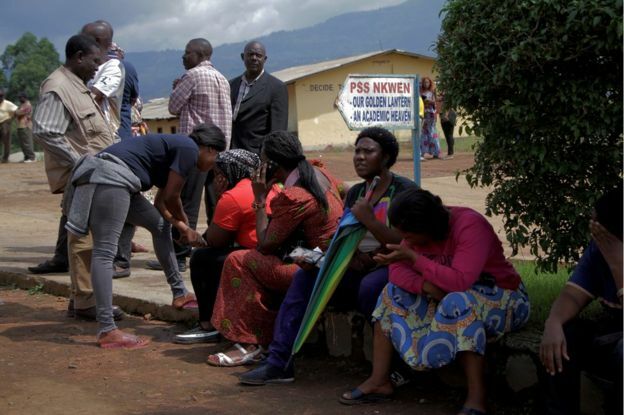 According to the Presbyterian Church of Cameroon, the students were abandoned in one of their buildings in the town of Bafut, about 24 km (15 miles) from Bamenda. “The release was done peacefully by unidentified gunmen. They [students] were brought into the church premises,” Rev Samuel said. “The first information we got from them [kidnappers] is their call and they were telling us they intended to release the children yesterday [Tuesday] morning but unfortunately it rained so heavily that could not happen. He also revealed that Sunday’s kidnapping was the second such case at the school in less than a week.